Acrylic paint, fabric, colored pencils and crayon, texture rubbing plates, and Sharpie markers. Did you enjoy this project? We really liked staying after school and working on this project. It was fun working with our classmates and sharing ideas. About: Our reasons for drawing our influential picture was that we were inspired by the hardships of all the African Americans that went through slavery, and the courage and selflessness of Harriet Tubman. 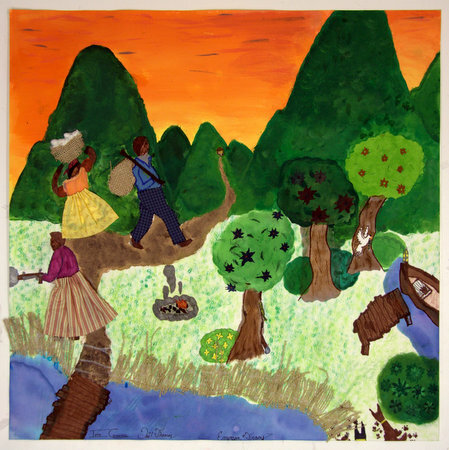 Our drawing shows African Americans on the path to freedom.